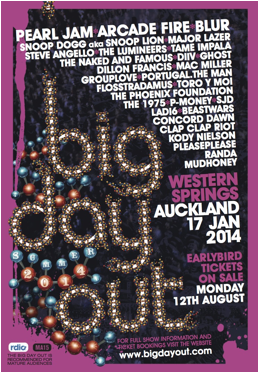 Stay tuned to Groove all through October/November and December to hear more about what's playing at the big Day out. We'll be doing bios, playing some music and getting abit newsy, too. As things roll on we'll have interviews with the artists on our regular show too, - The Adventures of the CoffeeBar Kid - Thursday nights from 7.30. Get excited!!!! Tonite we have a 'fireside chat' with Author Stuart McBride - "the Tartan King of Noir". 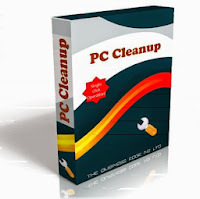 Stuart is a Scottish writer, most famous for his crime thrillers set in the "Granite City" of Aberdeen and featuring Detective Sergeant Logan McRae. 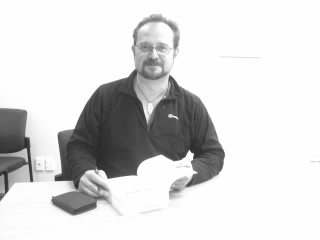 He was in Wellington 2 weeks agon and popped in to talked to the Kid about his latest book "Close to the Bone"
..."The first body is chained to a stake: strangled, stabbed, and a burning tyre around its neck. But is this a gangland execution or something much darker? 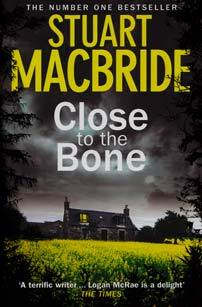 Someone's leaving little knots of bones outside Detective Inspector Logan McRae's house, but he's got more pressing things to worry about. Rival drug gangs are fighting over product and territory; two teenage lovers are missing; someone's crippling Asian immigrants; and Logan's been lumbered with an ambitious new Detective Sergeant, a mountain of paperwork, and the unwelcome attention of his superiors and the local crime boss. When another body turns up, it looks as if the similarities between these murders and the plot of a bestselling novel are more than just a coincidence. And perhaps those little knots of bones are more important than they look..."
• Bandanna Challenge 13 – 29 September 2013 is CanTeen’s annual public fundraising appeal. • The campaign focuses on why CanTeen exists – that no young person living with cancer should go through it alone. Two members from each category feature in the campaign, and they are: Patient Members Annabel Sopoaga-Ariki and Richard Yap (both from Christchurch); Sibling Members Natalie Lagesse (Timaru) and Grant Hawthorne (Wellington); and Bereaved Sibling Members Lucy Coombes (Wellington) and Tony Bayard (Nelson). • Five bandanna designs feature in this year’s line-up – collaborated designs from CanTeen ambassadors Dan Carter and Patient Member Annabel Sopoaga-Ariki (Christchurch), Maria Tutaia and Sibling Member Azura-Eve Silberschmidt (Rotorua), the NZ Breakers and Patient Member Jessica Hamilton (Auckland), plus individual designs from Clara van Wel, winner of last year’s NZ’s Got Talent, and Patient Member Miro Tidswell-Groot (Nelson). • People can donate by either calling 0800 22 34 34, visiting neveralone.co.nz or texting CANTEEN to 4325 to make a $3 donation. • Bandanna related Facebook/Twitter Avatars have been created for this year’s campaign and are available for download on CanTeen’s website www.canteen.org.nz for people to show their support online. 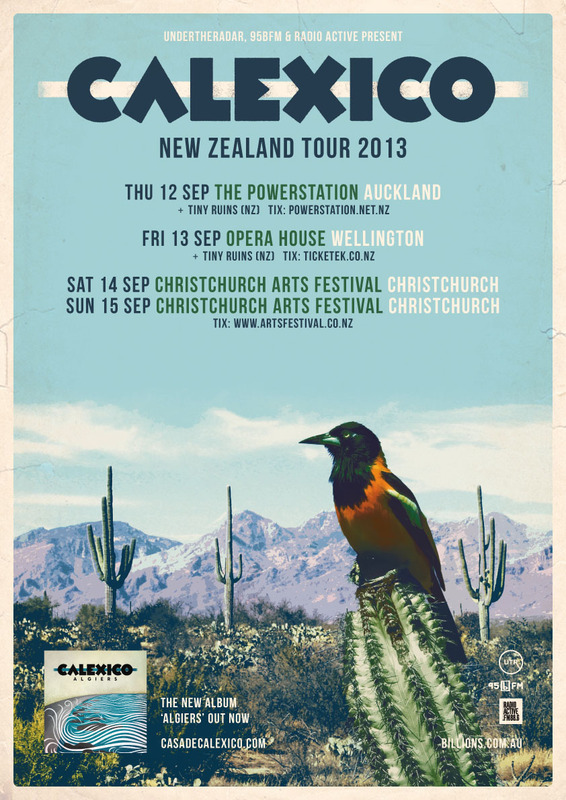 Calexico return to Wellington on Friday to play at the Opera House. Groove will play some of their music tonite. 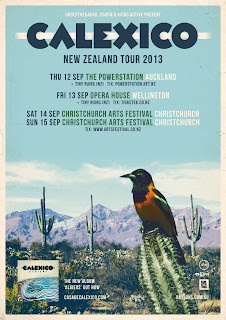 Calexico is a Tucson, Arizona-based Americana / Tex-Mex / indie rock band. The band's two main members, Joey Burns and John Convertino, first played together in Los Angeles as part of the group Giant Sand. 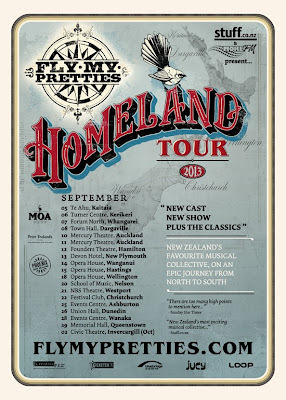 This week we interview Ria Hall, new recruit on the Fly My Pretties Homeland Tour, which is about to kick off around the country. We play a few songs by new Pretties recruits. 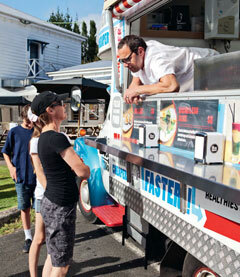 We also talk to Michael Van Der Elzen - the Food Truck Guy and master chef of 'Healthy Takeaways'- ahead of the launch of his new book, The Food Truck Cook Book No.2. The Food Truck follows Michael Van De Elzen, owner and head chef of Molten Restaurant and Liquid Molten Bar in Mt Eden, Auckland, as he attempts to create healthy, restaurant-quality alternatives to New Zealand fast food favourites from the back of a 1970 Bedford truck. 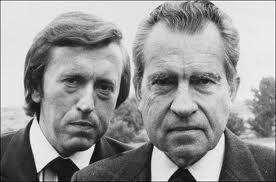 And finally we also pay tribute to a great journalist David Frost, who passed away two days ago. British broadcaster David Frost, famed for coaxing an apology for Watergate from Richard Nixon, has died on a luxury cruise liner where he had a speaking engagement. Frost's, 74, sudden death brought tributes from international celebrities and political leaders, many of whom called him a good friend as well as an acute interrogator. 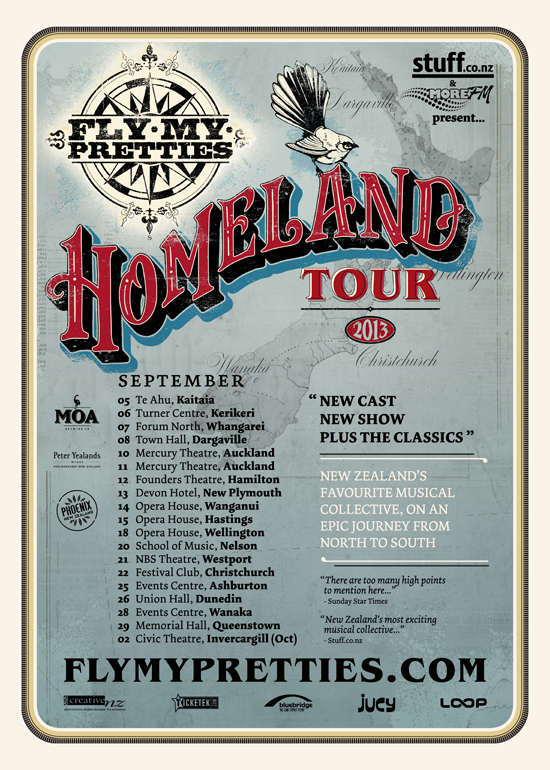 Fly My Pretties : New cast welcomes: Anika Moa, Mel Parsons, Ria Hall, Barnaby Weir, Jarney Murphy, Kara Gordon, Louis McDonald, Mark Vanilau, Mike Fabulous, Nigel Patterson, Ryan Prebble & Shaun Blackwell. Full 2013 cast info HERE.